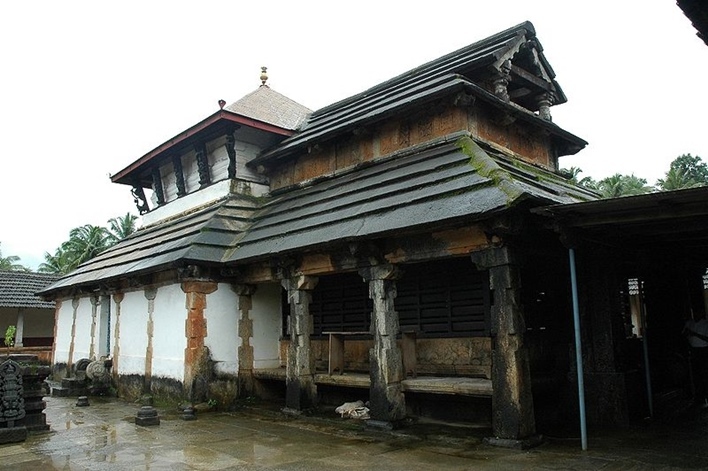 At a distance of a little over 60 kilometers from Mangalore, Karkala is an important Jain pilgrimage site. The town has a number of historical and religious landmarks of which the Chaturmukha Basadi is the most well-known. The temple gets its name from its unique architectural plan wherein the temple is open from all sides. 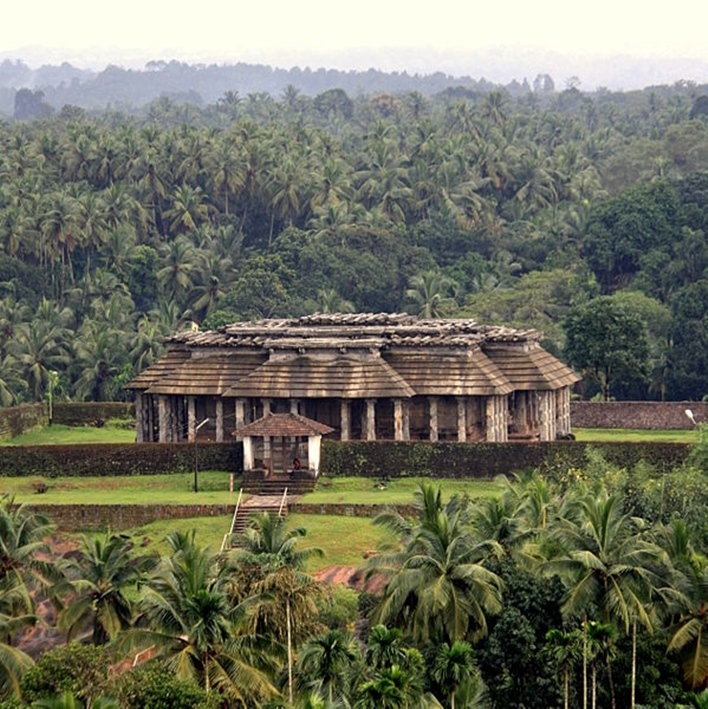 Karkala is located at the base of the Western Ghats and was earlier known as Pandya Nagari. While some believe that the town derives its name from the tulu word, kari-kal, which means black stone; others assert that the name is a derivation of ‘Kari Kola’ which means ‘elephant lake’. Jainism is the main religion practised in Karkala and hence it is not surprising to note the presence of 18 Jain basadis here. A 13m statue of Lord Bahubali in the town centre is another attraction of Karkala. 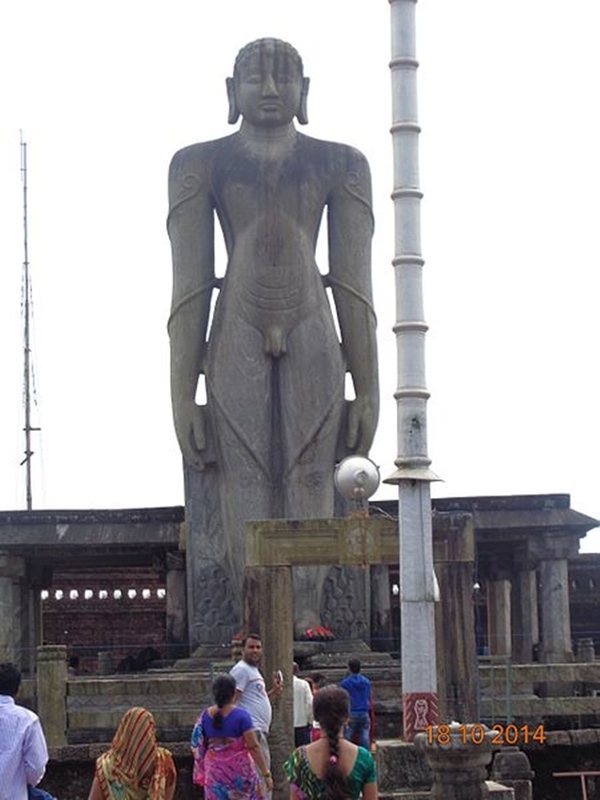 This statue is the second tallest Bahubali statue in Karnataka. Every 12 years thousands of Jain pilgrims come here to perform the Mahamastakabhisheka. The construction of this temple is attributed to more than one person. Some believe that the Chaturmukha Basadi was built towards the end of the 16th century by the Santara dynasty’s Immadi Bhairarasa Vodeya. Others attribute its design and construction to Queen Channabhairadevi. According to another legend, the temple dates back to the 15th century when it was built by Vir Pandyadeva, a Jain King. This is probably the most popular Jain Basadi in Karnataka and is visited not only by Jain pilgrims but by followers of other religions as well. The monument is protected under the Archaeological Survey of India. This temple has been designed in a way unlike any other. Broadly speaking, it follows the Vijaynagara style of architecture. It has been constructed entirely of Granite. The temple has 4 identical doorways in the north, south, east and west that all lead into the Garbhagriha. A seated form of the Tirthankaras is carved into the lintel of the northern, eastern and western doorway. The southern doorway features a carving of Gajalakshmi on the lintel. This is flanked by sculptures of bedecked dvarapalas. The passage around the Garbhagriha features 108 stone pillars. Niches in the wall of this passage also contain sculptures of other Gods and Goddesses. The Garbhagriha houses four black stone statues of the 24th Tirthankara facing the 4 doorways. An idol of the Yakshi Padmavati, Malli, Ara, and Suryata are also housed in the Garbhagriha. While this temple may not be as ornate as other Hoysala temples, the simplicity and symmetry of this temple set it apart. The Chaturmukha Basadi stands on a raised stone platform and features solid granite slabs as its roof. One of the reasons the temple is believed to have 108 pillars is because this number adds up to 9 which is thought of as the perfect Vedic number. Each of these 18-foot tall pillars has been carved out of a single granite block. The pillars feature intricate carvings of Jain and Hindu deities. This ancient temple is dedicated to an avatar of Lord Vishnu, Lord Ananthapadmanabha. The temple is about 1 kilometer from the Chaturmukha Basadi. It was originally built as a Jain temple in the 15th century. 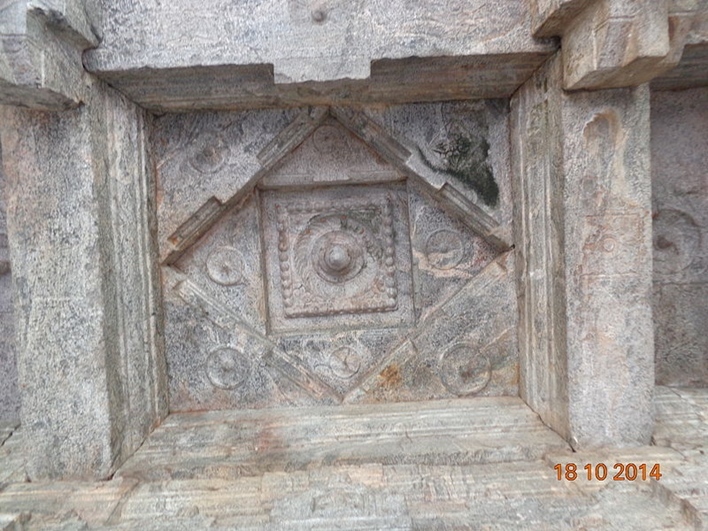 The stone sculpture of Lord Vishnu was later installed in it during the visit of Sringeri Jagadguru Sri Narasimha Bharathi Swamiji. 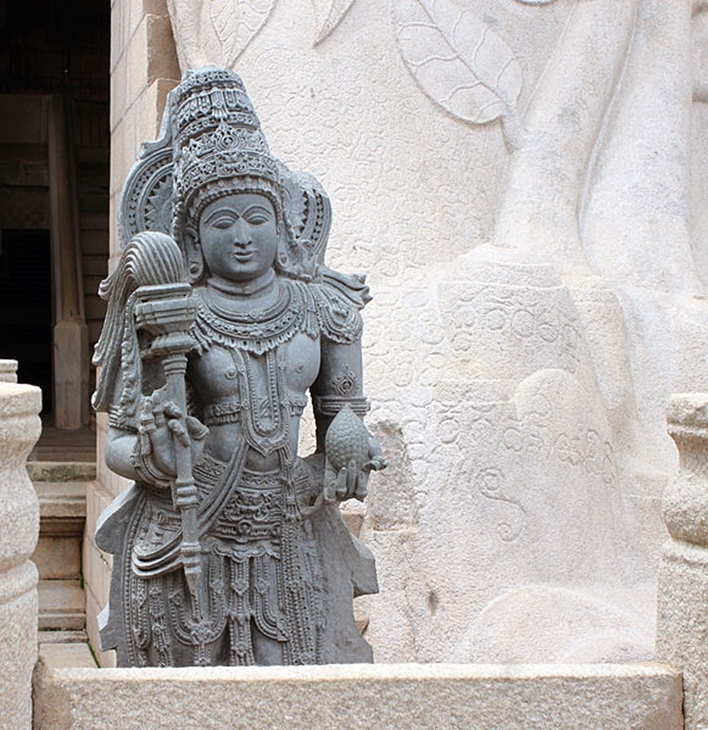 This statue is carved out of a single block of granite. 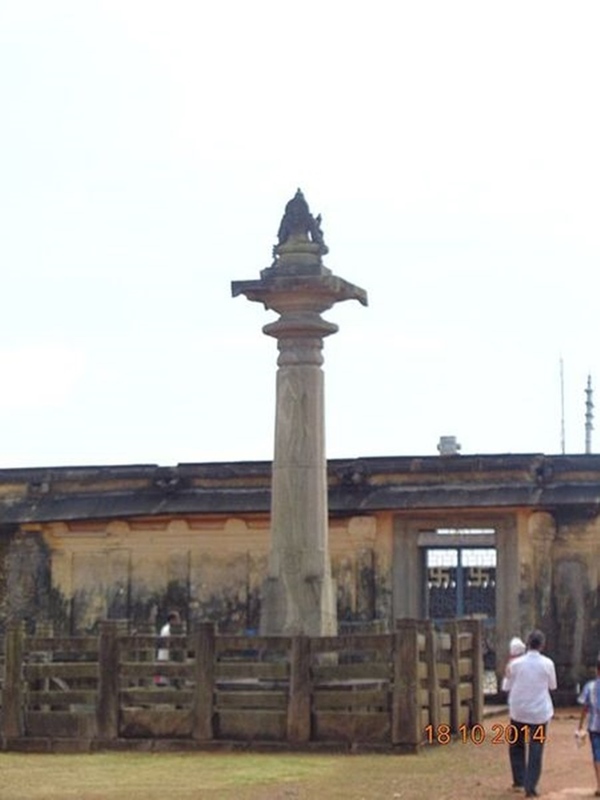 The Gommateshwara Statue in Karkala dates back to 1432CE. The statue stands on a 5-foot tall platform and is enveloped by brick walls. The statue is in the middle of a brick-walled courtyard with an entrance from the north. This entrance is faced by a manasthambha pillar. Brahma Yaksha is depicted in a seated position on this pillar. During the Mahamastakabhisheka, the statue is bathed in milk, turmeric, saffron, water etc. The Chaturmukha Basadi is visible from the top of the statue and it almost seems as though the statue were watching over it. This Roman Catholic Church dates back to 1839. 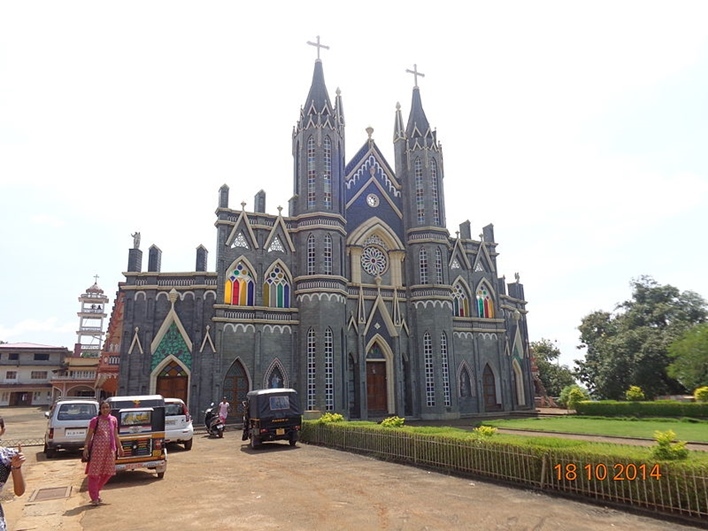 According to local legends, after Tipu Sultan destroyed the parish church in the area, devotees of St Lawrence along with a priest carried a wooden statue of St Lawrence around as they searched for a place to build a new church. When they reached Attur, they stopped at a spring to quench their thirst and set the statue down. However, they could not lift the statue to resume their journey. Thus, they decided to build the church at that spot. Devotees flock here in huge numbers during the Attur festival. The Padutirupathi temple was built by the Goud Saraswat Brahmins in the 16th century. As the name suggests, it is set to the west of Tirupati and is dedicated to Lord Venkataramana. The temple follows the same rites and rituals as followed in the Tirupati temple. Apart from its architectural attractions, Karkala also boasts of stunning natural beauty. 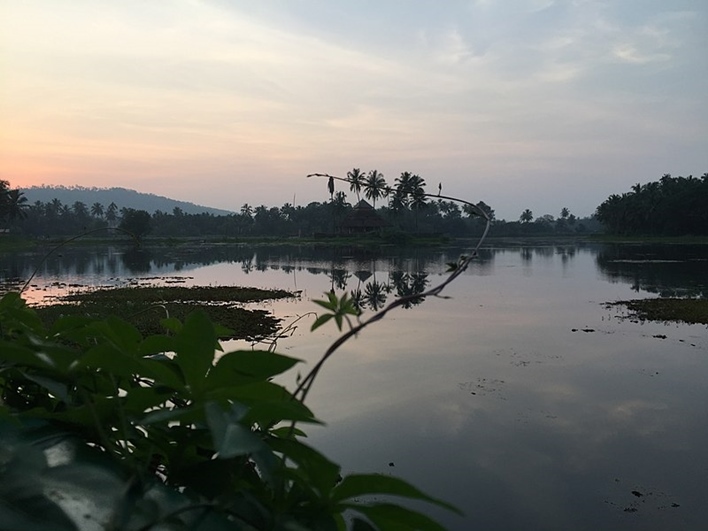 Some of the most picturesque lakes in the region are the Ramasamudra Lake, Anekere, Kamala Kere, Matadha Kere, Nagarbavi, Shivathi Kere and Sigadi Kere. The Ramasamudra Lake is an artificial lake that was built by Veera Bhairava in memory of his late son. The closest airport is located at Mangalore. This airport is a little over 50km from the temple. From here, tourists can take a bus to Karkala or hire a taxi. The closest railway station from the Chaturmukha Basadi is at Mangalore. This is at a distance of 50 km. Karkala is connected by road to Bangalore, Mangalore and other major cities in Karnataka. Buses ply regularly between Bangalore and Karkala.